Finding the right house removals team can be quite a challenge: a successful relocation is the perfect mix of a number of different elements, and for most people, finding a moving company that hits the right note on all counts is but a dream! You’re probably worrying that you will have to compromise on some front to be able to get a better deal on others, right? Wrong! At Balham Removals, we do all that we can to make sure that you get the best possible deal when you work with us! Balham Removals is a well-known and trusted moving company in London. We handle a diverse variety of house removals daily and offer a number of house relocation services. Whether it’s a small, quick and efficient one-person removal you need help with or a large, trans-state or even international house removal you’re planning, we’re just one phone call away from helping you plan the perfect, stress-free house move. If you’re wondering just how we can be of assistance to you, then you’ve come to the right place. Let’s take a look at some of the ways in which we can help make the transition an easier one for you. 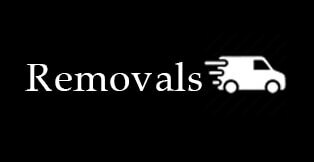 Firstly, as mentioned above, we handle removals of all sizes and scales. Whether you want help moving a few heavy items down the block, or you need to move everything you own across the continent, no job is too big or too small for our team. You’ll find that a lot of moving companies only prefer taking on large-scale house removals because they stand to earn more from such projects, but not us: for us, each and every job is equally important and we make sure that you enjoy the best of our services and abilities. Next, we offer our clients the chance to purchase packaging supplies that are suited to their specific needs. Instead of having to reuse old, weak cartons or spend tonnes of money on new packing supplies that don’t quite fit the bill, you can browse through our Packaging section and pick the specific items that you’d like our team to use. This custom-packaging option ensures that your belongings are packed in the highest quality materials at the best prices. Make sure you place an order for the packaging supplies well before the move: this way you won’t be stranded last minute with no supplies and you won’t overspend in a last-minute hurry. Our expert movers and packers follow a systematic packing process to ensure that maximum efficiency is maintained throughout. We follow a simple principle of packing one room at a time. This allows us to move systematically through the house and ensure that nothing gets overlooked during the packing stage. This also means that once you’re settled into the new house, you’ll be able to unpack all your belongings room-wise, since they’ll be packed according to the room category they fall into. We offer some of the most competitive and affordable rates in the market. We understand that our clients are looking for the perfect balance between quality service and affordability, and hence we make sure that we offer you an optimum blend of both. When you’re working with Balham Removals, you can be certain of fair prices, excellent service and unbeatable results. So, pick up the phone and give us a ring! Let us help you get settled in your new home! Description: Hire our trustworthy movers to have smooth and safe relocation to Balham, SW12. We are waiting for your call on 020 8746 9601 anytime.